Rent our renewed sauna facilities to Your private event! Come and spend a nice sauna evening with friends, colleagues or teammates in our renewed sauna facilities! 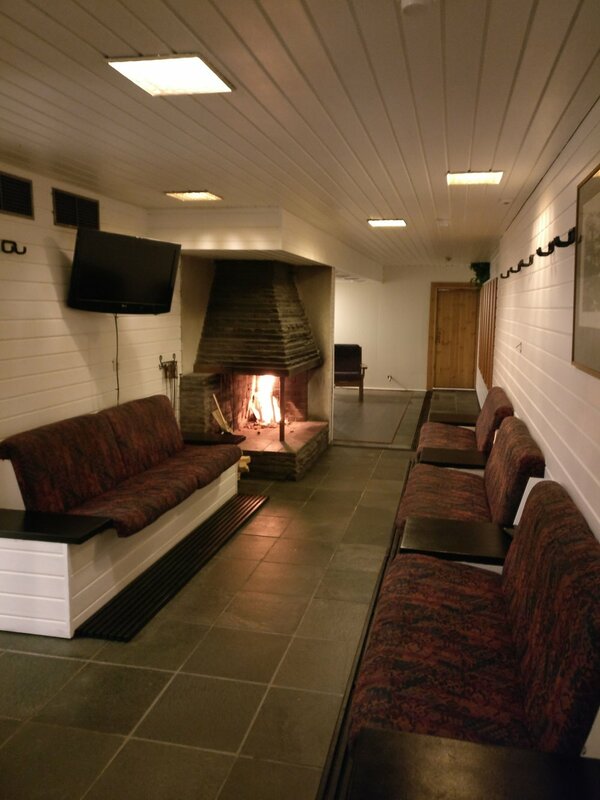 We offer 2 saunas with a connecting fireplace lounge room. The smaller sauna is good for 5-8 pers. and the larger one for 15-20 pers. The fireplace lounge is a great space to relax by open fire after a good sauna... You could also follow an important match, since the fireplace lounge is equipped with a flat-screen TV. You can order drinks from the restaurant and they will be brought to You directly, handy! Dining in our restaurant before or after the sauna is also possible! Please remember to book in advance by calling +358 (0)10 230 5000 or by e-mail info@sodankylahotel.fi . You can also find events such as our Jam-sessions that pair good with sauna, follow our events from the link at the end of this page!